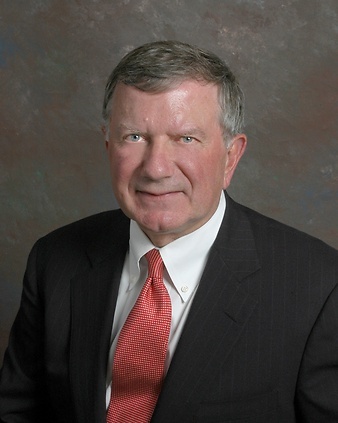 R. Peter Prokop is Counsel to Butzel Long, practicing in the firm's Bloomfield Hills office. He graduated from The University of Michigan Law School (J.D., 1969) and the University of Detroit (B.S., Accounting, 1966). Mr. Prokop's practice includes corporate and commercial law, tax and estate and family business planning. His experience in corporate and partnership taxation, mergers and acquisitions, loan negotiations and compensation planning matters is extremely valuable to privately-held business clients. As a result of his extensive relationships with client advisors, he has also been able to assist accounting and law firms in their internal matters including acquisitions of other practices and development of internal policies and agreements. He has a strong interest and expertise in one of the most challenging practice areas, family business succession planning. He is a CPA as well as an attorney. Mr. Prokop is a member of the American Bar Association Task Force on Joint Venture Agreements (Editorial Committee, Model Joint Venture Agreement), Taxation Section, Business Law Section (Negotiated Acquisitions Committee), Probate and Real Property Law Section and the Law Firm Management Section, and related sections of the State Bar of Michigan. He is a Director of the Great Lakes Entrepreneur Quest, a Trustee of Loyola High School (Detroit) and Chairman of its Planned Giving Committee. Mr. Prokop has over 40 years of federal tax experience. He and the Butzel Long Tax Group represent a significant number of non-profit, tax-exempt entities from a corporate governance and tax perspective. Included within the entities represented are hospitals and hospital-related foundations; privately funded schools; colleges and universities; and private foundations funded by individuals and families. University of Michigan Law School 1969, J.D.